I started January with one of my all time favourite authors, Cecelia Ahern, picking up her newest release as my first book of the year. Whilst I enjoyed the development of Lyrebird as a character, and always love Ahern's way with words, I didn't entirely love the story as a whole. I rated Lyrebird four out of 5 stars, and you can read my full review here. Secondly, I picked up my first reread of the year: Tuesdays with Morrie by Mitch Albom. Whilst this is a melancholy read, I came away from this book with a number of life affirmations, as I recall doing the first time also. An inspiring read that I rated four stars, and a title I'd recommend all to read at least the once. Next up I opted for another reread, unplanned, but very much enjoyed, and that was The Bookshop Book by Jen Campbell. I love returning to this title every now and then, and it makes a delightful read for any bookworm. At five stars, The Bookshop Book was my highest rated read of the month, and if you take anything away from this post, then it should be to pick this book up!! 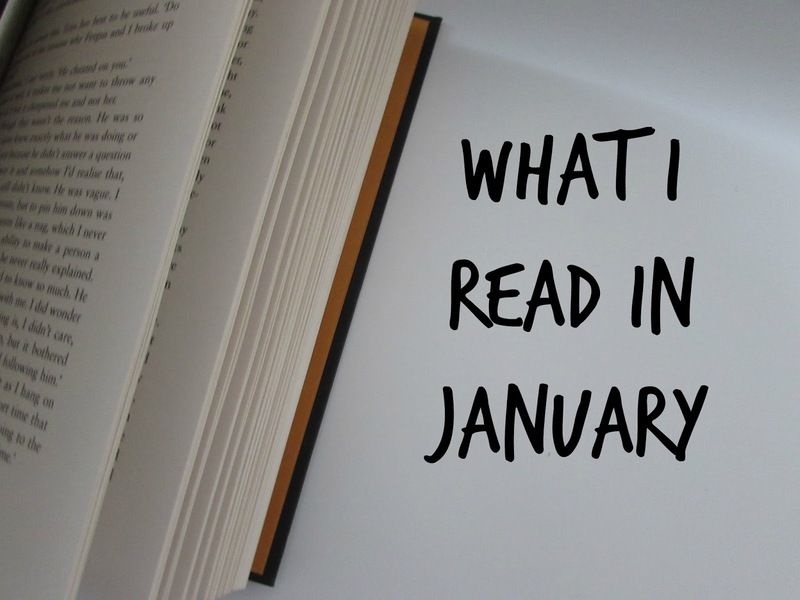 My fourth read of January was a book for review: Life in a Fishbowl by Len Vlahos. I was super excited about the concept of this book, focusing on reality TV, however the story itself wasn't quite what I expected. I rated this book three stars out of five, and you can read my full review here. Delving into a short story collection next, I visited the works of Rachel Joyce when picking up A Snow Garden & Other Stories. Previously I'd read Perfect by this author and enjoyed her writing style, and know The Unlikely Pilgrimage of Harold Fry is a much loved read however I haven't read it myself. In the story collection I did enjoy the writing style, however some of the stories felt a bit all over the show for me. Also, the stories are all connected, however I kind of wish they were a little more subtly connected. Three out of five stars for A Snow Garden & Other Stories. My next read was the book club pick of the month: Small Great Things by Jodi Picoult. I had been so keen to delve into this book, not only because of all the buzz surrounding this title, but because I read each and every Picoult novel... Unfortunately, I didn't love this title as much as I thought I would. I think the message she is trying to get across with this novel is so important and powerful, especially given current times, but the story itself wasn't all that for me. I ended up rating Small Great Things 3 stars, and you can read my full review here. I ended the month of January so very nearly finishing up Swimming Lessons by Claire Fuller, but not quite. It shall be finished in the next couple of days. I absolutely love this book - Claire Fuller is definitely one of my new favourite authors. Happy reading to you all in February! I didn't know Rachel Joyce had a short story collection, although I've read her Harold Fry books as well as Perfect. I hope you enjoy the rest of Swimming Lessons and have a great bunch of books in February! The short story collection is festive / Christmas themed. Thanks, Lindsey. Have a great February! I like your post. I want to read "Small Great Things" by Jodi Picoult. Thank you. Small Great Things is definitely a title many are wanting to read at the moment - I hope you're able to pick it up soon. It looks like you had a good reading month. I’m on a waiting list for Life in a Fishbowl, so hopefully I can read it soon. It was an interesting month to kick the year off with. Ah, I hope you're able to get stuck into Life in a Fishbowl some time soon - I'd be keen to hear your thoughts. Jodi Picoult has always been hit or miss for me even when I enjoy the overall messages of her books. I often find the same thing with Picoult's work. Thanks, Grace - and you! Swimming Lessons is well worth a read, especially if you like books that include books in the narrative. I finished it just today; hopefully I'll have a review up in the next couple of days. A Snow Garden & Other Stories sounds like a great read, and I really am interested in Swimming Lessons. I am looking forward to your thoughts on it!